Finned billet CNC points cover to fit the SOHC CB750. Precision CNC machined finned points cover from 6061 billet alloy. 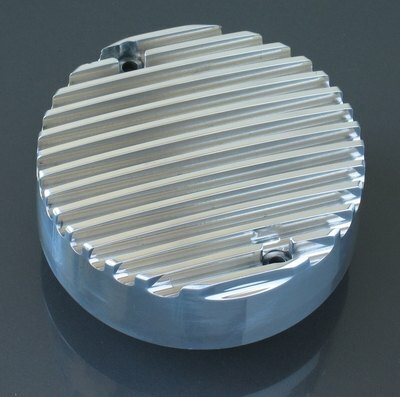 Unlike others on the market, this is from billet alloy, not sand or die cast. Available polished or anodized silver.